Go Along To The Royal Flying Doctor Service Rockhampton Open Day! 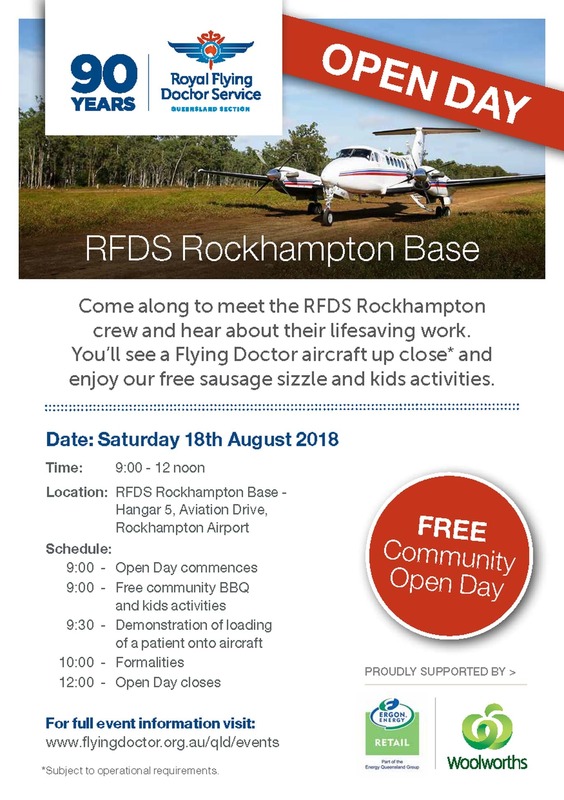 Join the Royal Flying Doctor Service Rockhampton crew for their open day on Saturday, August 18! Hear about their lifesaving work, see a Flying Doctor aircraft up close (subject to operational requirements) and enjoy a free sausage sizzle and kids activities!